A Piece of EFW-CAN History. As we ready ourselves for the colder months, it is a time of transition and preparation. The hay is safely stacked away in the barn, the heaters are ready to keep the water from freezing and the horses are growing their long, thick, soft coats to protect them from the frosty air. The shorter days seem to slow me down and I am reflecting on the faster pace of the summer. 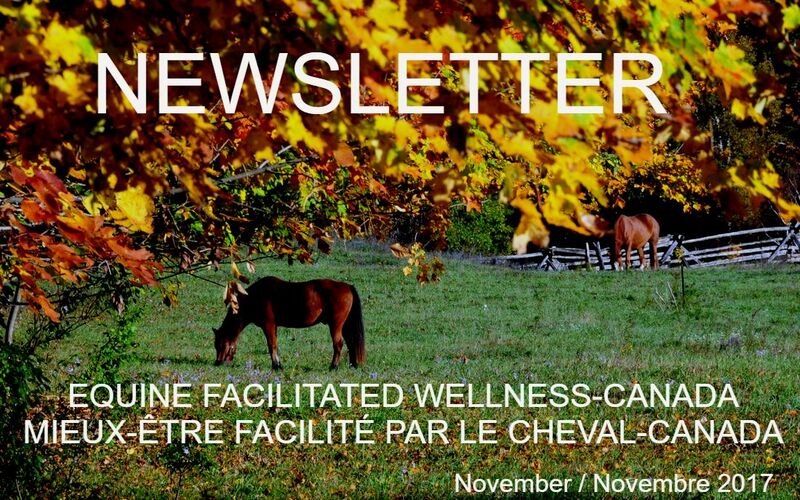 I am very grateful to be a part of Equine Facilitated Wellness-Canada and to be one among a community of like-minded people who strive to be in respectful relationships with their horses and all living things. It is a tall order and that is why I use the word “strive.” Every day that I take the time to be mindful and in the present moment with my horses, they teach me something about myself. Most of their messages tell me to slow down so that I can appreciate their gifts and enrich my time with them and in doing so allow me to do this in all of the other areas of my life, relationships, work and play. I am also very grateful for the dedicated people who serve on the Board of Directors for EFW-CAN, Marie Josée Hull, Sara Willerson, Meagan Saum, Carla Webb and Deborah Marshall as the EFW-CAN Trainer Representative to the Board. Thank you also to the trainers, mentors and members of the committees who are striving to make improvements to the assistance that we offer to our members in our training and certification processes, mentorship and support in our continuing education and experience. I appreciate all of the efforts that our certification candidates are doing to progress through their training and the EFW-CAN Professionals who have completed the in-depth certification process. You are on the front lines working in the field of Equine Facilitated Wellness as the ambassadors of EFW-CAN, maintaining the high standard of ethics, principles and caring that allow your clients to benefit from the powerful impact of equine facilitated wellness. 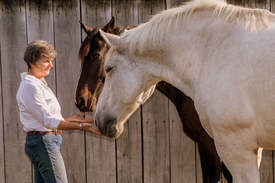 Our non-profit association was established more than a decade ago already, by volunteers dedicated to human wellness services, equine facilitated wellness and equine welfare. I am proud to witness what has been created to support high standards in the EFW practice, and this only with volunteers who receive no financial compensation for their dedication, experience and time. We can see how love, passion and solidarity can generate great initiatives. If you are interested in becoming a more active member of EFW-CAN by serving on the Board of Directors or on a committee, please contact us for more information at info@equinefacilitatedwellness.org. Since 1996 I have dedicated my life to the pursuit of better understanding the psychological implications of the horse-human relationship. For most of that quest I have remained silent – watching, listening, and learning. Finally, I feel ready to begin speaking out – sharing my feelings and thoughts. This email message is my first attempt. I feel that there are two key areas that we must focus on in the upcoming ten years for this field to be considered a truly “viable” and ethical treatment or education/learning approach. 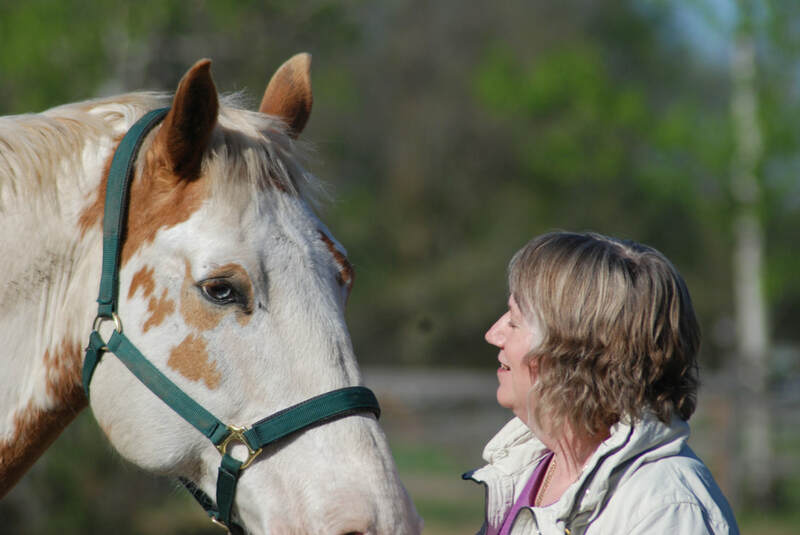 Regardless of how much we love horses, recognize their helpful/healing abilities, and see the impact that any equine facilitated or assisted approach has on clients/students, we must also see that horses are horses. And as the Equine Inherent Risk Law reminds us, equines are dangerous, unpredictable, and may cause serious bodily harm or death. This is not a joking matter. The manner in which we conduct our services determines how much “safer” we can make our programs. It is up to us as facilitators of equine experiences to ensure our clients/students safety TO THE BEST OF OUR ABILITY. This means (to me) that it is our responsibly to provide our clients/students with the information and skills needed to maintain their physical safety. Any challenge course program, adventure based program, or wilderness program REQUIRES that all students/clients undergo an intensive safety and equipment presentation and training prior to engaging in a high-risk activity. Participants are never subjected to an experience without first clearly understanding the risks and having appropriate training to decrease the risk factor. If humans come into partnership with horses and do not have adequate safety training, the risk for serious accidents increases. Not only is it critical to provide every student/client with a general safety training and education that includes a basic overview of equine psychology, behavior, physiology and communication, but we must also evaluate how safe our activities are. If we are placing horses in situations/activities that increase their natural fight/flight/freeze response we are placing our clients in greater danger. When a horse goes into a fight/flight/freeze response their primary concern in for their own safety. In such a state horses will trample people, knock into them, kick, bite, or whatever it takes to get away – to get safe. They are not thinking relationally. They are not thinking about the good or wellbeing of their human partner. If we are inviting unknowing clients into an arena with loose horses and providing instructions to those clients that engages the horse’s flight/flight/freeze response, we are knowingly endangering our clients. Is this a risk you are willing to take? I realize that the therapeutic benefits can be profound and that people, when experiencing a rush of adrenalin, may experience intense personal reflections and insight, but at what cost? All of this has not yet even touched upon the ethical considerations of placing an equine into such a situation. Some may not be as concerned about this as others. For myself, I believe wholeheartedly that it is the relationship between the client/student and the horse that creates the success of the intervention. I consider my horses my employees and my partners. Therefore, as a respectful boss, I also believe that it is my ethical duty to provide them with an emotionally and physically safe work environment. I know my horses well enough to know that they do not like being chased. I also know that for the most part they are not living in a state of fight/flight/freeze. This reaction only occurs when they are threatened or scared. I do not feel that it is ethical to use a treatment or learning method that places any member of the treatment team (human, animal, nature, whatever) in such a state. Furthermore, when horses get into that fight/flight/freeze response not only are they unaware of the humans, they are more prone to physically hurt themselves or other horses. I don’t think that this is ethically appropriate either. Basically, what I am asking is that everyone who is providing an equine facilitated or assisted service evaluate carefully their use of activities and their safety training protocol for clients/students and make SAFE decisions. My desire is that our field would minimize the risk for physical harm to our clients and emotional stress for our horses by adapting activities to be safer for all involved. Law suits will increase the rate of our insurance and will decrease our viability as a treatment option. This field is in our hands. It is our choice whether or not we start speaking out about unsafe practices – or helping to educate those new to the field about the safety risks involved and guiding them in a healthful and responsible direction. For those of us who are mental health professionals, we must consider the ethical requirements we are bound to. As mental health professionals we are required by law to keep our clients as physically and emotionally safe as possible. If you are working with clients that you obtained or who were referred to you, please consider this statement. If you are not a horse person, how can you guarantee that you are “keeping your client as physically and emotionally safe as possible”? You are entrusting your clients to a “horse specialist” to keep them safe. This may be a person who is AMAZING and who you trust with your life, but at the end of the day, it’s you who will get sued if the client gets injured. And the question will be asked, were you providing a service that you have been educated, trained, and supervised to provide? 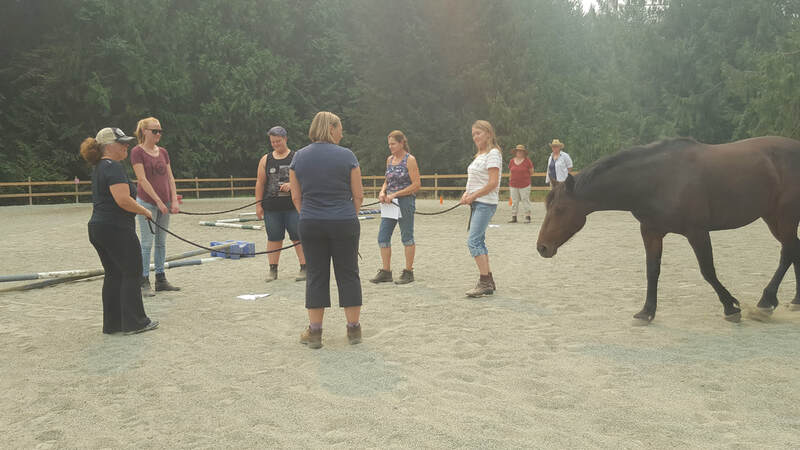 If you have only been through a three-day “certification” workshop, or attended other short-term trainings/workshops, are you truly “educated, trained, and supervised” in an equine facilitated/assisted method? I feel that in order to consider ourselves “competent” we must know as much about the field that we are working in as possible. To me this means understanding the field’s origins, knowing the “who’s who” of the field, having a comprehensive grasp of the various membership and training organizations that exist, and understanding all of the methods available to use. We should also have a deep understanding of the ethics that govern us as providers of this method. It seems like we just need to take a deep breath and settle. If we keep growing without a deep understanding of what we are REALLY getting ourselves into as a field, I am afraid of the consequences. I am afraid that without slowing down and addressing these issues, we will find ourselves without a field. So, please help me by passing along the notion that we must become SAFE and COMPETENT facilitators of these experiences, and that to do so may take time, money, and additional training. There is no quick answer. We need to slow down and make sure we are doing it right. Be wary of any organizations that suggest that you can become “competent” within a short period of time. Suggest to those who contact you about “getting into the field” that they will need to dedicate serious time and maybe money before they can start providing an equine facilitated/assisted service. Get lots of horse experience and document it! Enroll in college programs offering equine facilitated or assisted courses (courses, actual degree programs, professional trainings, whatever you can do) …..
Go to workshops and pursue their advanced programming (not just their introductory programming) ….Find a supervisor with experience in equine facilitated work and log your equine specific supervision hours. Know your membership organizations and what they each provide to the field ….. I thank you so much for your time, and for listening to me voice my fears and desires. Leif Hallberg is the author of Walking the Way of the Horse, Exploring the Nature of the Horse-Human Relationship, one of the first textbooks in the Equine Facilitated field. The above letter contains excerpts from the original letter. We started the day off inside, discussing the sentient nature of horses – well of all beings in fact – and how the “conditions” we humans bring with us to our work and play lives with equines, always have an effect. I touched in on the event that started what we’d come together to learn – Equine Assisted Belief Change – by sharing how Chiron got colic during a time of intense stress in our lives and how after FOUR days of touch and go, vet visits and interventions, complimentary treatments, walking vigil through night, and all the things we do to help our beloveds come through this oh so real threat… the AH HA acorn fell from the sky and unceremoniously cracked me on the head. Click Here to read more of that story – Chiron Likes Bon Jovi. As usual, the three boys (Chiron, Xen and Tank) were milling about, for we must surely have come to see them. Grace was hidden within the shelter as I wondered about where we could best stay dry. The torrent of rain picked up so we followed her lead, making for dry harbour and taking over one of the stalls. As we settled in, Grace’s ears pricked up. She left the cocoon of the shelter and walked over to stand in front of us. She watched as we huddled under cover, then moved in close causing us to shift and shuffle so we'd all fit safely. What happened next could not have been planned or predicted though after 12 plus years with her, I am never surprised. Grace held court. Chiron, Xen and Tank held space. I watched in awe as this beautiful mare chose one person then another, until she’d worked with everyone in turn. The initial intention was we’d each have a turn facilitating an EABC session for each other, learning from one and each as we went along. Grace made it clear we were there to learn from and with her and she choreographed the day precisely. As we played musical chairs, taking turns in each role, Grace was the centre of each experience. At one point it was obvious she was offering profound healings to two people at the same time. She was like Grandmother Spider, connected to every part of the web and we were the threads within it. At liberty the entire time, free to choose where she wanted to be and with whom, Grace put on a Master Class. We were her students and she our teacher, healer, and friend. As the day drew to its end, the rain stopped. We dried our tears and smiled bright smiles. I looked over at Grace who was standing within a human circle of love. I bowed my head and offered her silent thanks for reminding us to always make room for grace/GRACE. 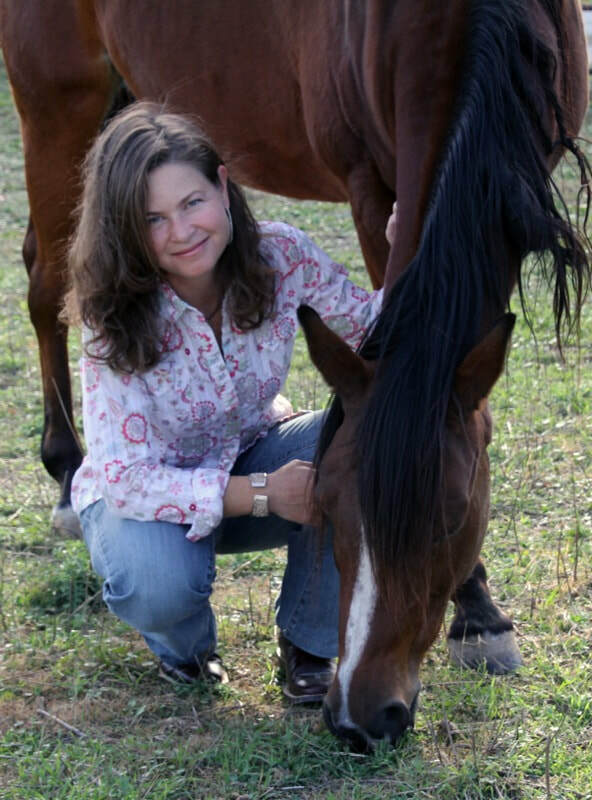 Sandra Wallin is a registered clinical counselor, EFW-CAN Trainer, an educator, author and presenter, who divides her professional time between a private practice, working in a local school district and teaching Equine Guided Development and PSYCH-K. 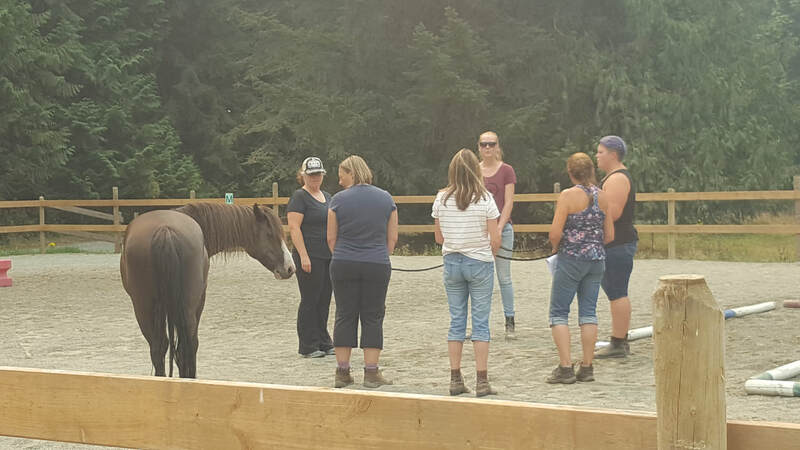 Recently, the Horses, Heart & Soul® herd and I partnered with our beloved colleague, Vanessa Sanford, LPC-S, CDWF to facilitate a one day CEU event for mental health professionals. This collaborative day showcased the integration of Brene’ Brown’s Daring Way™ and Rising Strong™ curriculums with equine inspired interactions to embody her program concepts of Vulnerability, Armoring Up, and Living Brave. It is always our intention to open a space for humans to wholeheartedly embody the ways vulnerability physically manifests in our physical, emotional, spiritual and mental selves. This alliance supports us in identifying and updating the stories we tell ourselves in order to bravely walk as the sacred, unique individuals we are. And what better guides to have in this process than horses, who inherently live from this space of being. ​In her book Daring Greatly (2012), Brown defines vulnerability as “uncertainty, risk, and emotional exposure (p.34).” In my training through Linda Kohanov’s Eponaquest program, we view vulnerability through the lens that when partnering with a horse, we will be invited to step into and share our true, authentic selves. The practice of this walk may require us to shift and update some closely held beliefs systems about our self, our interactions with others, and the world we live with. 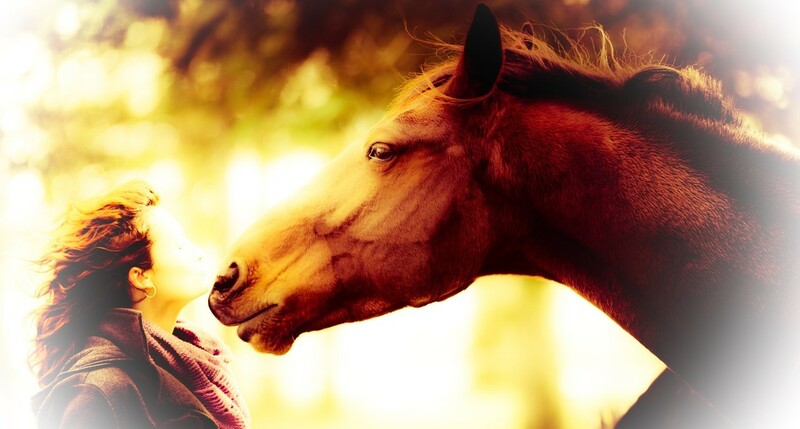 Horses already know and see the heart of who we are. 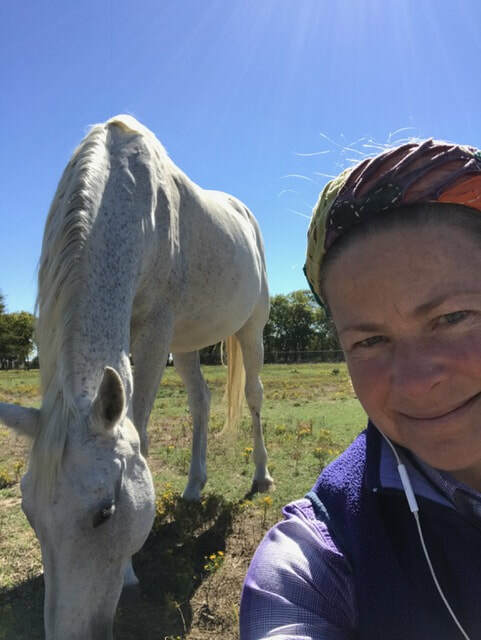 If we consent to the invitation, horses will guide us through the integrative practice of allowing our entire being to be present in our daily world. Throughout my collaboration with Vanessa and her teaching of Brown’s research, I have learned that this is bravery. So what happens when a horse practices these concepts in our presence? ​Serenade has been a member of the Horses, Heart & Soul® herd for about three years now. She is a 17+ hand Hanoverian cross mare with flea bitten grey coloring. She is expressive, delicate, artful and powerful in her movements. She is deeply gifted in supporting humans through the practice of connecting with the heart of who they are. As I have gotten to know her, she is shy by nature and will, at times, hold the periphery of the herd especially when there is a group of humans present. She prefers to have a lot of personal space and does not always enjoy being enclosed in tight surroundings. She is pretty clear when she lets us know she needs more space and over time, I have become way better at recognizing her initial requests for an expanded working environment. One of our herd members transitioned about a month ago and since this mare’s death, Serenade has been exploring a new role for herself in the herd and when partnering with humans. During our recent workshop, we introduced the Rising Strong™ (Brown, 2015) concept of Armor – ways that we protect ourselves emotionally, physically, mentally and spiritually in the world. To experience Brown’s teaching, Vanessa and I have developed a reflective partnership activity for participants with the horse of their choice, typically experienced within the setting of a round pen while the horse is at liberty. We asked the participant group for a volunteer who was interested in exploring their own concept of armor with the guidance of a horse. The professional who volunteered chose to work with Serenade. This choice was based on the participant’s initial introduction to the herd earlier in the day and the realization of some personal patterns that had been uncovered when attempting to meet Serenade. What is interesting to note is that Serenade, during this initial group meet and greet, remained against the fence while two other members of her herd were happy to interact with all the participants in the center of the large arena space. She seemed to be keeping to herself, somewhat withdrawn, and choosing to interact with a few people. I remember watching her and noticing that her coloring even seemed a bit darker than her normal bright, shiny white. ​I walked out into the pasture to invite Serenade to participate in the Armor activity. She looked up at me and willingly came with me. I led her into the arena with the intention of walking on through to the round pen on the other side. When we got to middle of the arena, she stopped. I waited with her a moment and then asked her to move forward with me. She planted her feet. I asked in several different ways and she continued to give me the same resounding response – “No.” I listened to her, took a few deep breaths with myself, and understood that she wanted this bigger space to partner with her two-legged apprentice. We closed the gates to the big arena and I removed her halter. Her entire physical presentation shifted. Immediately she became “bigger.” Her white was infinitely brighter, reflecting the light of the sun. Her physical presence expanded. It seemed there were expansive vibrational rays radiating around her. She moved around the large space in a proud, regal manner, making eye contact with everyone. It was truly awesome to observe and everyone present witnessed it. She stepped into the arena, turned on her inner Light and expanded herself. To me, Serenade was sharing her personal practice of what it means to step into and embrace vulnerability. “Over these years I have been releasing the layers. The should’s, would’s, could’s – as you say. All of what others wished and wanted for me. That took time to realize and see…I was releasing it all in the earth to grow something else – something beautiful. Those seeds were not mine to bear. To fruit. To expand. Hearing this amazing mare’s wisdom is profound. I know we can all relate, in some way, to what she is sharing. How many times have you felt that you are walking around in other people’s expectations of you? How does this affect you? Your beliefs about yourself? The manner in which you show up in the world? If you chose to, what might happen if you shed those beliefs belonging to others, like a heavy winter coat? Just let it fall off of you onto the ground. Imagine what your physical body would feel like without that extra weight. Being in this enlightened space, what might shift? Is there room for more creativity? More sensitivity and experiencing? Is there freedom to move in a whole new way that is uniquely yours? Is it easier to shine that inner Light of who you are? In the Horses, Heart & Soul® program, the herd teaches a 5 step practice known as the Wisdom Walk Program©. 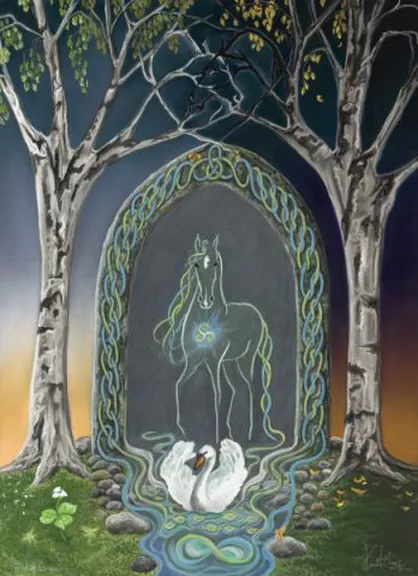 Each horse has a step they present, with the contiguous intention of clearing internal and external distractions, connecting with the heart of who we are and shining our Light in the world. Serenade’s step demonstrates how to turn our internal Light on. During the workshop activity she facilitated, Serenade revealed her personal practice with all of us. She showed us how to truly step into, turn on and radiate our internal Light source. This is vulnerability. This is bravery. This is Stepping Into the Arena and Shining the Bright Light of Who You Are. Thank you Serenade for sharing this sacred gift with us all. ​Brown, B. (2012). Daring greatly: How the courage to be vulnerable transforms the way we live, love, parent, and lead. New York, NY: Gotham Books. Brown, B. (2015). Rising strong (First edition.). New York: Spiegel & Grau, an imprint of Random House. Chicago Style. That night, the sunset was beautiful and the tranquility behind this energy was simply remarkable. You could feel the calm behind the majestic body of the great horses. At that moment we could not know that the energy of the invisible was going to surface to appease a great sorrow. A young woman in her twenties arrived at the centre with little energy remaining from her day, but her eyes lit up with the idea of ​​meeting the horses. In front of these beautiful beings filled with compassion for this young lady, she closed her eyes to begin the exercise of the body scan. The horses all connected, remained all close to her, without exception, to support her in this stage of life so difficult. The dominant horse of the herd named Légende, which was in total connection. 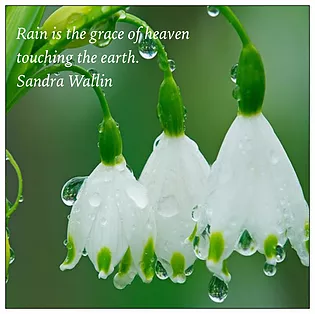 Connected in her body and in her pain, tears flowed down her cheek. Eyes closed, back to the horse, she asked me if Légende was behind her. I then offered her to turn around and she could see that he was there. She looked at me and said: It makes me think of my fiancé. I gave her a smile and I asked her to look at the horses again, who was just scratching his withers in affection as two lovers, even the horses who were not in the same position in ​​the hierarchy, were ready to play despite their differences. At that moment, there was no more hierarchy, there was only love and resonance to this great immense wound that transposed the body of this young lady. After taking the time to observe the beautiful interactions that was given to us, Légende came back to us and the young lady decided to have a moment at liberty with him. In the closed indoor riding arena but also near the other horses, the horses began to run and have fun together like a playful child without stopping. There was a childish energy filled with joy and laughter. She put a hand on her little swollen stomach and then thought of her little being, growing in her. The smile returned as she breathed in this feeling. The horses evoked in her great freedom. A magnificent scene was given to her and even older horses ran, twirled and enjoyed themselves. The game lasted more than two minutes in an overflowing energy and the horses enjoyed this wonderful sensation and demonstrated to this woman, the happiness of life. When calm returned, she finally returned to her Légende. A little nervous, she approached him slowly. After a short time, she, who had fears about horses, was completely connected, calm and even walked loose with him. He offered her hugs, love and comfort. At liberty, he followed her wherever she went. He lived a precious moment of gratitude and pure love with her. This session was magical and unique. At the very end, emotions surfaced, and the young lady smiled again and thanked Légende for giving her one last contact with her fiancé. This young lady left with a parcel of happiness and gratitude towards the horses, the universe and its invisible side that cannot be seen but felt. She understood that despite the invisible, there is resonance and in the resonance, there is hope! Even if she knows she will never see her fiancé who died accidentally in the same week, she will be able to feel him close to her when she and her child need it. She will be able to comfort her little Elliot who will arrive soon in the human world, by rocking him tenderly reminding him that his papa is close! Training is a highlight of our year at Generation Farms. In 2017 we were blessed with full training groups and wonderful students. It is encouraging for our field of Equine Facilitated Wellness to have so many competent big-hearted people coming forward. Integration Week has a special feeling. This year we welcomed six people whose Focus Training (or equivalent) ranged from 2016 back to 2006! This group included dedicated learners some of who have repeated Integration Week and taken Focus Training from two trainers. Our EFW Canada certification is sometimes seen as being overly long yet we have people voluntarily doing more than is required. ​Again this year our students worked with actual clients which was a highlight of the week. We are fortunate to have a wonderful extended Generation Farms community who are always eager to participate. It was a confidence builder for everyone. The week ended with the group planning their own closing ceremony. They created an exercise that involved all of them, our three trainers and two horses. An obstacle course held messages for all as they wound their way around the course. No surprise that Ivy and Naya joined in with all that great energy! Congratulations to Mijane Parker, Heather Fischer, Georgina Burrell, Jennifer Friesen, Mary Rostad and our own Sophie Limer!! Certification is coming soon. Entrer dans l’arène et faire briller la lumière de qui vous êtes. Alors que nous nous préparons pour les mois les plus froids, nous vivons une période de transition et de préparation. Le foin est empilé en toute sécurité dans la grange, les appareils de chauffage sont prêts à empêcher l’eau de geler et les chevaux font pousser leurs robes douces et épaisses pour se protéger de l’air glacé. Les jours plus courts semblent me ralentir et je réfléchis au rythme plus rapide de l’été. Je suis très reconnaissant de faire partie du programme mieux-être facilité par le cheval, et d’appartenir à une communauté d’individus qui partagent une vision similaire qui s’efforce à entretenir de relations respectueuses avec leurs chevaux et tous les êtres vivants. C’est un grand défi et c’est pourquoi j’utilise le mot « s’efforcer ». Chaque jour que je prends le temps d’être attentive dans le moment présent avec mes chevaux, ils m’apprennent quelque chose au sujet de moi-même. La plupart de leurs messages me disent de ralentir pour que je puisse apprécier leurs cadeaux et enrichir mon temps avec eux et, ce faisant, me permettre de le faire dans tous les autres domaines de ma vie, relation, travail et plaisir. Je suis également très reconnaissante envers les personnes dévouées qui siègent au conseil d’administration de MFC-CAN, Marie Josée Hull, Sara Willerson, Meagan Saum, Carla Webb et Deborah Marshall en tant que représentante des formateurs MFC-CAN au conseil. Merci également aux formateurs, aux mentors et aux membres des comités qui s’efforcent d’apporter des améliorations à l’aide que nous offrons à nos membres dans nos processus de formation, de certification, de mentorat ainsi que de soutien dans notre formation continue et notre expérience. J’apprécie tous les efforts que font nos candidats à la certification pour progresser dans leur formation et les professionnels MFC-CAN qui ont terminé le processus de certification en profondeur. Vous êtes en première ligne dans le domaine du mieux-être facilité par le cheval en tant qu’ambassadeurs MFC-CAN, en maintenant le haut niveau d’éthique, de principes et de soins qui permettent à vos clients de bénéficier du puissant impact du mieux-être facilité par le cheval. Notre association sans but lucratif a été mise en place, il y a déjà plus de dix ans, par des bénévoles dédiés aux services du mieux-être pour les humains, à la pratique du mieux-être facilité par le cheval et au bien-être de l’équidé. Je suis fière de témoigner que ce qui été créé pour soutenir des standards élevés dans la pratique, et ce qu’avec des bénévoles qui ne reçoivent aucune compensation financière pour leur dévouement, leur expérience et leur temps. On peut voir comment l’amour, la passion et la solidarité peuvent générer de belles initiatives. Si vous souhaitez devenir membre actif MFC-CAN en siégeant au conseil d’administration ou à un comité, veuillez nous contacter pour plus d’informations à info@equinefacilitatedwellness.org. ​Depuis 1996, j’ai consacré ma vie à la recherche d’une meilleure compréhension des implications psychologiques de la relation cheval-homme. Pour la majorité de cette quête, je suis restée silencieuse - regarder, écouter et apprendre. Finalement, je me sens prête à parler, partager mes sentiments et mes pensées. Ce message électronique est ma première tentative. Je pense qu’il y a deux domaines clés sur lesquels nous devons nous concentrer dans les dix prochaines années pour que ce domaine soit considéré comme un traitement ou une approche éducation/apprentissage véritablement « viable » et éthique. ​Peu importe combien nous aimons les chevaux, reconnaissons leurs capacités utiles/de guérison, et voyons l’impact que toute approche facilitée ou assistée par les chevaux a sur les clients/étudiants, nous devons également voir que les chevaux sont des chevaux. Et comme le rappelle la loi sur le risque inhérent aux équidés, les équidés sont dangereux, imprévisibles et peuvent causer des blessures graves ou la mort. Ce n’est pas une question plaisante. La façon dont nous gérons nos services détermine à quel point nous pouvons rendre nos programmes plus « sécuritaires ». C’est à nous, en tant que facilitateurs d’expériences équines, d’assurer la sécurité de nos clients/étudiants au meilleur de notre capacité. Cela signifie (pour moi) qu’il est de notre responsabilité de fournir à nos clients/étudiants les informations et les compétences nécessaires pour maintenir leur sécurité physique. Tout programme de cours de défi, programme basé sur l’aventure ou programme de nature sauvage EXIGE que tous les étudiants/clients suivent une formation et une formation intensives sur la sécurité et l’équipement avant de s’engager dans une activité à haut risque. Les participants ne sont jamais soumis à une expérience sans d’abord comprendre clairement les risques et avoir une formation appropriée pour réduire le facteur de risque. Si les humains s’associent aux chevaux et n’ont pas une formation adéquate en matière de sécurité, le risque d’accidents graves augmente. Il est non seulement essentiel de fournir à chaque étudiant/client une formation générale sur la sécurité, mais aussi une formation qui comprend une vue d’ensemble de la psychologie, du comportement, de la physiologie et de la communication équine, mais nous devons également évaluer la sécurité de nos activités. Si nous plaçons des chevaux dans des situations/activités qui augmentent leur réaction naturelle de combat/fuite/gel, nous mettons nos clients en danger. Quand un cheval se lance dans une réaction de combat/fuite/gel, sa principale préoccupation est sa propre sécurité. Dans un tel état, les chevaux peuvent piétiner les gens, les frapper, les mordre ou faire tout ce qu’il faut pour s’enfuir - pour être en sécurité. Ils ne pensent pas relationnellement. Ils ne pensent pas au bien-être de leur partenaire humain. Si nous invitons des clients inconscients dans une arène avec des chevaux en liberté et que nous facilitons des interactions qui élicitent une réaction combat/fuite/gel chez le cheval, nous mettons nos clients sciemment en danger. Est-ce un risque que vous êtes prêt à prendre ? Je me rends compte que les bienfaits thérapeutiques peuvent être profonds et que les gens, lorsqu’ils éprouvent une poussée d’adrénaline, peuvent éprouver des réflexions et des réflexions personnelles intenses, mais à quel prix ? Tout cela n’a pas encore touché les considérations éthiques de placer un équidé dans une telle situation. Certains ne sont pas aussi préoccupés par cela que d’autres. Pour ma part, je crois sincèrement que c’est la relation entre le client/étudiant et le cheval qui crée le succès de l’intervention. Je considère mes chevaux comme mes employés et mes partenaires. Par conséquent, en tant que patron respectueux, je crois également qu’il est de mon devoir éthique de leur fournir un milieu de travail sécuritaire sur les plans émotionnel et physique. Je connais suffisamment mes chevaux pour savoir qu’ils n’aiment pas être chassés. Je sais aussi que, pour la plupart, ils ne vivent pas dans un état de combat/fuite/gel. Cette réaction ne se produit que lorsqu’ils sont menacés ou effrayés. Je ne pense pas qu’il soit éthique d’utiliser un traitement ou une méthode d’apprentissage qui place un membre de l’équipe de traitement (humain, animal, nature, peu importe) dans un tel état. De plus, quand les chevaux entrent dans cette réponse de combat/fuite/gel, non seulement ils ne sont pas conscients des humains, mais ils sont plus enclins à se blesser physiquement ou à blesser d’autres chevaux. Je ne pense pas que ce soit éthiquement approprié non plus. Fondamentalement, ce que je demande, c’est que tous ceux qui fournissent un service équidé ou assisté évaluent soigneusement leur utilisation des activités et leur protocole de formation à la sécurité pour les clients/étudiants et prennent des décisions SÉCURITAIRES. Mon désir est que notre domaine minimise le risque de préjudice physique pour nos clients et le stress émotionnel pour nos chevaux en adaptant les activités pour être plus sécure pour toutes les personnes impliquées. Les poursuites judiciaires augmenteront le taux de notre assurance et réduiront notre viabilité en tant qu’option de traitement. Ce champ est entre nos mains. C’est notre choix si nous commençons à parler des pratiques dangereuses - ou d’aider à éduquer les nouveaux sur le terrain à l’égard les risques de sécurité impliquée et de les guider dans une direction saine et responsable. ​Pour ceux d’entre nous qui sont des professionnels de la santé mentale, nous devons tenir compte des exigences éthiques auxquelles nous sommes tenus. En tant que professionnels de la santé mentale, nous sommes tenus par la loi de garder nos clients sécures physiquement et émotionnellement autant que possible. Si vous travaillez avec des clients que vous avez obtenus ou qui vous ont été recommandés, veuillez considérer cette déclaration. Si vous n’êtes pas un cheval, comment pouvez-vous garantir que vous « gardez votre client en sécurité physiquement et émotionnellement autant que possible » ? Vous confiez vos clients à un « spécialiste du cheval » pour les garder en sécurité. Cela peut être une personne qui est ÉTONNANTE et en qui vous avez confiance, mais en fin de la journée, c’est vous qui serez poursuivi si le client se blesse. Et la question sera posée, fournissiez-vous un service que vous avez été éduqué, formé et supervisé pour fournir ? Si vous n’avez participé qu’à un atelier de « certification » de trois jours ou si vous avez suivi d’autres formations/ateliers à court terme, êtes-vous réellement « éduqué, formé et supervisé » dans une méthode facilitée/assistée par l’équidé ? La pratique de la médecine, du droit, de la science, de la psychologie et de toute autre discipline professionnelle, exige des années de formation, d’éducation et d’expérience approfondie. Si nous voulons que les services facilités ou assistés par les chevaux prennent leur place en tant que disciples professionnels viable, éthique et respecté, nous devons « prendre le taureau par les cornes » et obtenir la formation, l’éducation et l’expérience supplémentaires nécessaires. Même ceux d’entre nous qui sont déjà des professionnels de la santé mentale, ce concept reste le même. C’est juste comme un médecin - nous avons nos informations générales pour être en mesure de pratiquer dans les méthodes que nous avons été formés, éduqués et supervisés à fournir. Mais, si nous voulons devenir des spécialistes, nous devons faire plus de formation, d’éducation et de supervision pour nous assurer que nous sommes vraiment compétents pour fournir la spécialité. Juste pour devenir un « thérapeute du jeu » accrédité, un professionnel de la santé mentale agréé et expérimenté doit obtenir 150 heures supplémentaires d’éducation/formation d’un institut d’enseignement supérieur, avoir complété 500 heures de facilitation supervisée en thérapie par le jeu et 50 heures de thérapie par le jeu surveillance. Cela consiste à inclure le jeu dans la thérapie - pas un animal vivant de 1000 livres qui est considéré par presque tous les États du pays comme « dangereux, imprévisible, et qui peut causer des lésions corporelles ou la mort ». ​Je pense que pour nous considérer comme « compétents », nous devons en savoir autant sur le domaine dans lequel nous travaillons. Pour moi, cela signifie comprendre les origines du terrain, connaître le « qui est qui » sur le terrain, avoir une compréhension globale des différentes organisations d’adhésion et de formation qui existent, et comprendre toutes les méthodes disponibles à utiliser. Nous devrions également avoir une compréhension profonde de l’éthique qui nous régit en tant que fournisseurs de cette méthode. ​Il semble que nous ayons juste besoin de respirer profondément et de nous installer. Si nous continuons à grandir sans une compréhension profonde de ce que nous sommes vraiment dans le champ, j’ai peur des conséquences. J’ai peur que sans ralentir et régler ces problèmes, nous nous retrouvions sans champ. Alors, s’il vous plaît, aidez-moi en transmettant la notion que nous devons devenir des facilitateurs SÉCURITAIRES et COMPÉTENTS de ces expériences, et que cela peut prendre du temps, de l’argent et une formation supplémentaire. Il n’y a pas de réponse rapide. 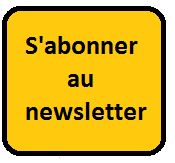 Nous devons ralentir et nous assurer de faire les choses correctement. Méfiez-vous des organisations qui suggèrent que vous pouvez devenir « compétent » dans un court laps de temps. Suggérez à ceux qui vous contactent de « se lancer sur le terrain » qu’ils devront consacrer un temps sérieux et peut-être de l’argent avant de pouvoir commencer à fournir un service facilité/assisté par un cheval. Obtenez beaucoup d’expérience de cheval et documentez-le ! Participez à des ateliers et poursuivez leur programmation avancée (pas seulement leur programmation d’introduction) .... Trouvez un superviseur ayant de l’expérience dans le travail facilité équine et connectez-vous vos heures de supervision spécifiques cheval. ​Comprenez toutes les méthodes disponibles pour les professionnels fournissant un service facilité/assisté par un cheval. Assurez-vous de créer/d’utiliser des activités SÉCURITAIRES et appropriées pour votre clientèle. Il y a BEAUCOUP d’options en ce qui concerne vos méthodes ou approches pour fournir un service facilité/assisté par un cheval. Renseignez-vous sur chacun d’eux et devenez éduqués afin que vous puissiez choisir et choisir en fonction des besoins de votre client, et non en fonction de vos limites. ​Je vous remercie beaucoup pour votre temps et pour m’écouter exprimer mes peurs et mes désirs. Leif Hallberg est l’auteure de « La marche du cheval, explorant la nature de la relation cheval-homme », l’un des premiers manuels dans le domaine de la pratique facilitée par l'équidé. La lettre ci-dessus contient des extraits de la lettre originale. ​Nous avons commencé la journée à l'intérieur. Nous discutions de la nature sensible des chevaux - enfin de tous les êtres. En soulignant comment les «conditions» que nous, les humains, apportons avec nous à notre travail et lorsque nous jouons avec les chevaux, ont toujours un effet. J'ai abordé l'événement qui a commencé ce que nous allions apprendre ensemble, soit - Changement de croyances assistées par les chevaux. Je raconte comment Chiron a souffert de coliques durant une période de stress intense dans nos vies et toutes les choses que nous faisons pour l’aider à traverser cette menace tellement réelle. C’est après quatre jours d’interventions, de traitements complémentaires, de veillée de marche pendant la nuit, que le grand AH HA est tombé du ciel et me craqua. Aujourd'hui, avec ce groupe de passionnés de chevaux et de professionnels qui travaillent en compagnie de chevaux, le troupeau avait un public avide mais le temps de juin ne cessait de demander: «Es-tu vraiment prêt pour ça? Comme d'habitude, les trois garçons (Chiron, Xen et Tank) broutaient, car nous devions sûrement venir les voir. Grace était cachée à l'intérieur du refuge alors que je me demandais où nous pourrions mieux rester au sec. Le torrent de pluie s'est levé et nous avons suivi son avance en s’installant dans l'une des stalles. Quand nous nous sommes installés, les oreilles de Grace se sont dressées. Elle a quitté le cocon de l'abri et a marché pour se tenir devant nous. Elle a regardé pendant que nous nous blottissions sous la couverture, puis nous avons bougé de près, ce qui nous a amenés à changer et à mélanger pour que nous puissions tous nous mettre en sécurité. Ce qui s'est passé ensuite n'a pas pu être planifié ou prédit bien qu'après plus de 12 ans avec elle, je ne suis jamais surpris. Grace a tenu la cour. Chiron, Xen et Tank contenaient de l'espace. J'ai regardé avec admiration cette belle jument choisir une personne puis une autre, jusqu'à ce qu'elle ait travaillé avec tout le monde à son tour. L'intention initiale était que nous ayons chacun un tour pour animer une session EABC les uns pour les autres, en apprenant d'un et chacun au fur et à mesure. Grace a précisé que nous étions là pour apprendre d’elle et avec elle. Elle a chorégraphié le jour précisément. Comme nous jouions des chaises musicales, à tour de rôle dans chaque rôle, Grace était au centre de chaque expérience. À un moment donné, il était évident qu'elle offrait de profondes guérisons à deux personnes en même temps. Elle était comme Grand-mère araignée, connectée à chaque partie de la toile et nous en étions les fils. En liberté tout le temps, libre de choisir où elle voulait être et avec qui, Grace a organisé une Master Class. Nous étions ses élèves et elle était notre enseignante, notre sœur et notre amie. Comme la journée touchait à sa fin, la pluie s'est arrêtée. Nous avons séché nos larmes et souri des sourires lumineux. Je regardai Grace qui se tenait dans un cercle d'amour humain. Je baissai la tête et lui offris silencieusement des remerciements pour nous rappeler de toujours faire place à la grâce / GRACE. ​Sandra Wallin est une psychothérapeute clinique agréée, Formatrice MFC-CAn, éducatrice, auteure et présentatrice, qui partage son temps entre une pratique privée, l'intervention dans un district scolaire local et l'enseignement de "Equine Guided Development" et "PSYCH-K". ​Récemment, le troupeau "Horses, Heart & Soul®” et moi avons travaillé en partenariat avec Vanessa Sanford, LPC-S, CDWF pour faciliter un évènement « CEU » d’une journée pour les professionnelles de la santé mentale. Cette journée de collaboration a présenté l’intégration des curriculums de Brene Brown « Daring Greatly » ™ et « Rising Strong »™ , avec des interactions équines inspirées pour incarner ses concepts de programme de « Vulnerability », « Armoring Up » et « Living Brave ». Il est toujours dans notre intention d’ouvrir un espace pour que les humains incarnent de tout cœur les manières dont la vulnérabilité se manifeste physiquement dans nos êtres physiques, émotionnels, spirituels et mentaux. Cette alliance nous aide à identifier et à mettre à jour les histoires que nous nous racontons pour marcher courageusement en tant qu’individus sacrés et uniques. Et que de meilleurs guides à avoir dans ce processus que les chevaux, qui vivent intrinsèquement de cet espace d’être. Dans son livre « Daring Greatly » (2012), Brown définit la vulnérabilité comme « l’incertitude, le risque et l’exposition émotionnelle » (p.34). Dans ma formation du programme Eponaquest de Linda Kohanov, nous considérons la vulnérabilité à travers l’objectif d'identifier et de partager notre Soi authentique. La pratique de cette marche peut nous obliger à changer et à mettre à jour certains systèmes de croyances étroitement liés à nous-mêmes, nos interactions avec les autres et le monde dans lequel nous vivons. Les chevaux savent déjà et ils voient le cœur de qui nous sommes. Si nous acceptons l’invitation, les chevaux nous guideront à travers la pratique intégrative de permettre à notre être tout entier d’être présent dans notre monde quotidien. Tout au long de ma collaboration avec Vanessa et son enseignement de la recherche de Brown, j’ai appris que c’est de la bravoure. Alors qu’arrive-t-il lorsqu’un cheval pratique ces concepts en notre présence ? ​Serenade est un membre du troupeau "Horses, Heart & Soul®” depuis environ trois ans maintenant. Elle est une croisée hanovrienne à 17 mains avec une robe grise tachetée. Elle est expressive, délicate, artistique et puissante dans ses mouvements. Elle est profondément douée pour soutenir les humains à travers la pratique de se connecter avec le cœur de qui ils sont. Comme je l’ai appris à connaître, elle est timide par nature et, parfois, tient la périphérie du troupeau surtout quand il y a un groupe d’humains présents. Elle préfère avoir beaucoup d’espace personnel et n’aime pas toujours être enfermée dans un environnement étroit. Elle est assez claire quand elle nous fait savoir qu’elle a besoin de plus d’espace et au fil du temps, je suis devenue beaucoup mieux à reconnaître ses demandes initiales pour un environnement de travail élargi. L’un de nos membres du troupeau a fait la transition, il y a environ un mois et depuis la mort de cette jument, Serenade a exploré un nouveau rôle pour elle-même dans le troupeau et en partenariat avec les humains. ​Au cours de notre récent atelier, nous avons présenté le concept « Rising Strong ™ » (Brown, 2015) des armures que nous utilisons pour nous protéger émotionnellement, physiquement, mentalement et spirituellement dans le monde. Pour faire l’expérience de l’enseignement de Brown, Vanessa et moi avons développé une activité de partenariat de réflexion pour les participants avec le cheval de leur choix, généralement fait dans un enclos rond pendant que le cheval est en liberté. Parmi le groupe de participants, nous avons demandé un volontaire qui souhaitait explorer leur propre concept d’armure avec les conseils d’un cheval. Le volontaire a choisi de travailler avec Serenade. Ce choix était basé sur l’introduction initiale du participant au troupeau plus tôt dans la journée et la réalisation de certains modèles personnels qui avaient été découverts lors de la tentative de rencontrer Serenade. Ce qui est intéressant à noter, c’est que Serenade, pendant ce premier groupe de rencontre, est restée contre la clôture alors que deux autres membres de son troupeau étaient heureux d’interagir avec tous les participants au centre du grand espace de l’aréna. Elle semblait rester à elle-même, se gardant un peu à l’écart et choisissant d’interagir qu’avec quelques personnes. Je me souviens de l’avoir regardée et je me suis aperçu que sa couleur semblait même un peu plus sombre que son blanc clair et brillant. Je suis sortie dans l’alpage pour inviter Serenade à participer à l’activité « Armure ». Elle leva les yeux vers moi et vint volontairement avec moi. Je l’ai amenée dans l’arène avec l’intention de marcher jusqu’à l’enclos rond de l’autre côté. Quand nous sommes arrivés au milieu de l’arène, elle s’est arrêtée. J’ai attendu avec elle un moment puis je lui ai demandé d’aller de l’avant avec moi. Elle a planté ses pieds. Je lui ai demandé de différentes manières et elle a continué à me donner la même réponse retentissante « Non ». Je l’ai écoutée, j’ai pris quelques respirations profondes et j’ai compris qu’elle voulait que cet espace plus grand s’associe avec son apprenti à deux jambes. Nous avons fermé les portes de la grande arène et j’ai enlevé son licou. Toute sa présentation physique a changé. Immédiatement, elle est devenue plus grande. Son blanc était infiniment plus lumineux, reflétant la lumière du soleil. Sa présence physique s’est étendue. Il semblait qu’il y avait des rayons vibratoires expansifs autour d’elle. Elle se déplaçait autour du grand espace d’une manière fière et majestueuse, établissant un contact visuel avec tout le monde. C’était vraiment génial d’observer et tout le monde l’a vu. Elle est entrée dans l’arène, a allumé sa lumière intérieure et s’est agrandie. Pour moi, Serenade partageait sa pratique personnelle, ce que c'est pour elle d'entrer dans la vulnérabilité. « Au cours de ces années, j’ai libéré les couches de: devrait, pourrait, aurait dû - comme vous le dites. Tout ce que les autres espéraient et voulaient pour moi. Cela a pris du temps pour réaliser et voir... Je libérais tout cela sur la terre pour faire pousser quelque chose d’autre - quelque chose de beau. Ces graines n’étaient pas les miennes à porter. À fructifier. À étendre. ​Entendre la sagesse de cette jument incroyable est profond. Je sais que nous pouvons tous comprendre, d’une certaine manière, ce qu’elle partage. Combien de fois avez-vous senti que vous vous promenez dans les attentes des autres vis-à-vis de vous ? Comment cela vous affecte-t-il ? Vos croyances vis-à-vis vous-même ? La manière dont vous vous présentez dans le monde ? Si vous le vouliez, que se passerait-il si vous perdiez ces croyances appartenant à d’autres, comme un lourd manteau d’hiver ? Laissez-le tomber de vous sur le sol. Imaginez ce que votre corps physique ressentirait sans ce poids supplémentaire. Être dans cet espace éclairé, ce qui pourrait changer ? Y a-t-il de la place pour plus de créativité ? Plus de sensibilité et d’expérience ? Est-ce qu’il y a la liberté de bouger d’une toute nouvelle façon qui vous est propre ? Est-il plus facile de faire briller cette lumière intérieure de qui vous êtes ? Dans le programme "Horses, Heart & Soul"®, le troupeau enseigne une pratique en 5 étapes connues sous le nom de Programme "Wisdon Walk" ©. Chaque cheval a un pas qu’il présente, avec l’intention contiguë d’effacer les distractions internes et externes, de se connecter au cœur de qui nous sommes et de faire briller notre lumière dans le monde. L’étape de Serenade montre comment allumer notre lumière interne. Au cours de l’activité de l’atelier qu’elle a animé, Serenade a révélé sa pratique personnelle avec nous tous. Elle nous a montré comment vraiment entrer, allumer et irradier notre source de lumière interne. C’est une vulnérabilité. C’est de la bravoure. C’est d’entrer dans l’arène, et faire briller la lumière vive de qui vous êtes. Merci, Serenade, d’avoir partagé ce cadeau sacré avec nous tous. 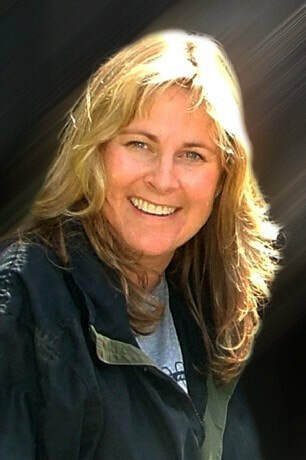 Sara B. Willerson, LCSW and Horses, Heart & Soul®, LLC. Elle offre des services de psychothérapie facilités par des chevaux pour les enfants et les adultes de la région du nord du Texas. Elle et son troupeau vivent et travaillent sur 19 acres pacifiques juste au nord de Dallas, TX. Elle est diplômée de « Smith College » école pour le travail social et Hollins College. Elle a complété une formation d'apprentissage par l'expérience équine avec Eponaquest en 2003 et elle est une instructeure avancée certifiée. Elle est également tri-certifiée et membre du conseil d'administration de Mieux être facilité par le cheval Canada. ​Ce soir là, le coucher du soleil était magnifique et la tranquillité derrière cette énergie était tout simplement imprimante. On pouvait ressentir le calme derrière le corps majestueux des grands chevaux. À ce moment nous ne pouvions savoir que l’énergie de l’invisible allait faire surface pour apaiser une grande peine et un grand chagrin. Une jeune femme dans la vingtaine arriva au centre avec le peu d’énergie qui lui restait de sa journée mais son regard s’illuminait à l’idée d’entrer en contact avec les chevaux. Arrivée devant ces êtres magnifiques remplie de compassion pour cette jeune dame, elle ferma les yeux pour débuter l’exercice du balayage corporel. Les chevaux tous connecté, restait tous près d’elle, sans exception, pour l’appuyer dans cette étape de vie si difficile. En particulier, le cheval dominant du troupeau «Légende» qui était en total connexion. Connecté dans son corps et dans sa peine, les larmes coulèrent le long de sa joue. Les yeux fermés, dos au cheval, elle me demanda si «Légende» était derrière elle. Je lui proposai alors de se retourner et elle pu constater que c’était bien lui qui était là. Elle me regarda et me répondit : Il me fait penser à mon fiancé. Je lui fis un sourire et je lui demandai de regarder à nouveau les chevaux qui était justement en train de se gratter le garrot en signe d’affection comme deux amoureux, même les chevaux qui n’était pas dans la même zone de la hiérarchie c’était prêté au jeu malgré leur différence. À ce moment il n’y avait plus de hiérarchie il n’y avait que de l’amour et de la résonnance à cette grande blessure immense qui transposait le corps de cette jeune dame. Après avoir pris le temps d’observer le beau spectacle qui nous avait été donné, Légende revint à nous et la jeune dame décida alors de vivre un moment en liberté avec lui. Arrivé dans le manège fermé mais près des autres chevaux. Les chevaux se mirent à courir et à s’amuser tous ensemble comme de vrai enfant enjoué sans s’arrêter. Il y avait une énergie enfantine remplie de joie et de rire. Elle mit alors une main sur son ventre un peu gonflé et pensa alors à son petit-être qui grandissait en elle. Le sourire revint faire surfasse et elle respira dans cette liberté. Le cheval évoqua en elle une grande liberté. Un magnifique spectacle lui était donné et même les chevaux plus âgé couraient, virevoltaient et s’amusaient. Le jeu dura plus de 2 minutes dans une énergie débordante et les chevaux pouvait profitez de cette merveilleuse sensation et démontrer à cette femme le bonheur de la vie. Quand le calme se refit, elle retourna enfin à sa connexion avec «Sa Légende». Un peu nerveuse elle s’approcha doucement de lui. Après peu de temps, elle qui avait des craintes face aux chevaux, était complètement connecté, calme et marcha même en liberté avec ce cheval. Il lui offrait des câlins, de l’amour et du réconfort. Il suivait la femme partout ou elle se déplaçait, lui qui était en liberté. Il vivait un moment précieux avec elle de reconnaissance et d’amour pur. Cette séance était magique et unique. À la toute fin, l’émotion arriva et la jeune dame souriait de nouveau et remercia le cheval de lui avoir donné un dernier contact avec son fiancé. Cette jeune dame puis repartir avec une parcelle de bonheur et de gratitude face aux chevaux, à l’univers et à son côté invisible qu’on ne peut voir mais ressentir. Elle comprit alors que malgré l’invisible, il y a la résonnance et dans la résonnance il y a l’espoir ! Même si elle sait qu’elle ne pourra plus jamais voir de ses yeux son fiancé décédé la même semaine accidentellement, elle pourra le sentir tout près d’elle quand elle et son enfant en auront besoin, elle pourra réconforter son petit Elliot qui arrivera bientôt dans le monde humain en ayant que maman pour le bercer tendrement en lui rappelant que Papa est tout près ! Semaine d'intégration 2017 à "Generation Farms"
​La formation est un moment fort de notre année à Generation Farms. En 2017, nous avons eu la chance d'avoir des groupes complets et des étudiants formidables. Il est encourageant pour la pratique du mieux-être facilité par le cheval d'avoir autant de gens compétents et généreux à venir. ​La semaine d'intégration est spéciale. Cette année nous avons accueilli six personnes dont la formation ciblé (ou équivalent) allait de 2016 à 2006! Ce groupe comprenait des apprenants dévoués dont certains ont répété la semaine d'intégration et ont suivi la formation ciblée de deux formateurs. Notre certification MFC-Canada est parfois considérée comme étant trop longue, cependant nous avons des personnes qui font volontairement plus que ce qui est nécessaire. ​Encore cette année, nos étudiants ont travaillé avec des clients réels, ce qui a été un moment fort de la semaine. Nous avons la chance d'avoir une merveilleuse communauté élargie Generation Farms, qui sont toujours désireuses de participer. C'étaient des moments constructeurs de confiance pour tout le monde. ​La semaine s'est terminée avec la planification par le groupe de sa propre cérémonie de clôture. Ils ont créé un exercice qui a impliqué chacun d'eux, nos trois entraîneurs et deux chevaux. Un parcours d'obstacles contenait des messages pour tous alors qu'ils se frayaient un chemin autour du parcours. Pas étonnant qu'Ivy et Naya se soient joints à toute cette énergie! ​​Félicitations à Mijane Parker, à Heather Fischer, à Georgina Burrell, à Jennifer Friesen, à Mary Rostad et à notre propre Sophie Limer !! La certification arrive bientôt.